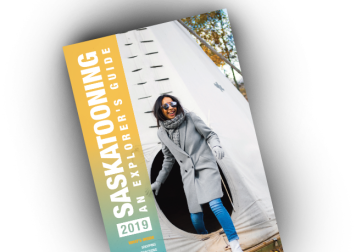 Tourism Saskatoon is proud to have accreditation from the Destination Marketing Accreditation Program (DMAP), an international accreditation program developed by the Washington, DC-based Destinations International (DI). In earning the DMAP accreditation, destination marketing organizations (DMOs) communicate to their community, buyers and potential visitors that their DMO has attained a significant measure of excellence. Tourism Saskatoon is a membership-based business organization with the majority of revenues coming from the private sector. It has a fifteen member Board of Directors, including two city councillors and a staff of fourteen tourism experts. Most of their funding comes from owner groups such as the Hotels Association, investors and its 460 business members. DMAP accreditation standards cover a wide variety of topics including governance, finance, management, human resources, technology, visitor services, group services, sales, communications, membership, brand management, destination development, research/market intelligence, innovation and stakeholder relationships. For additional information on DMAP, visit destinationsinternational.org.